The Banzhang mountains of Xishuangbanna have recently been recognized as the origin of the best Puer Tea of the world. With the demand for Banzhang tea increasing, land is cleared for new tea plantations. 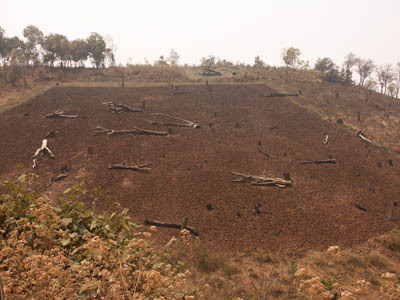 Unfortunately, this is leading to severe land degradation and the loss of natural biodiversity and agro-biodiversity. The reason for the Banzhang teaÕs superior quality is that its remarkably old tea trees are integrated into mountain forest ecosystems. Both, the age of the trees and the surrounding pristine forest ecosystems, contribute to the special Qi-enhancing aroma of this extraordinary fine tea. 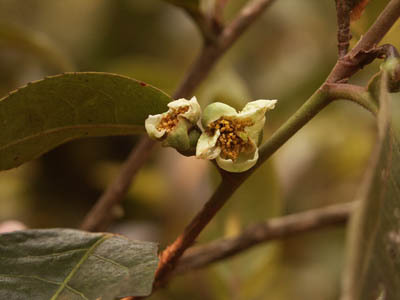 On closer look, the Banzhang forest tea is a sub-species or variety of Camellia sinensis. Its flowers are small and inconspicuous. They open only for a day, and turn reddish in colour the following day. 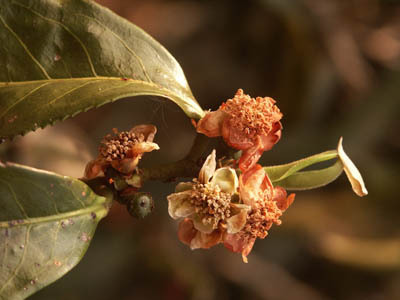 The small flowers of the Banzhang tea variety do not open their pedals wide during the pollination stage. A day after opening, the entire flower turns pinkish red. The Bulang tea farmers distinguish 3 Banzhang tea varieties: a red, a black, and a yellow leaf variety. As the leaves are mixed during processing, Banzhang tea develops an aroma that is unique among tea. It is of importance that the three Banzhang tea varieties are preserved genetically and that their cultivation continues in the traditional way. Such, Banzhang becomes a symbol for successful agro-biodiversity protection. The Banzhang tea has become known also for its old trees, which are still part of the natural mountain forest. 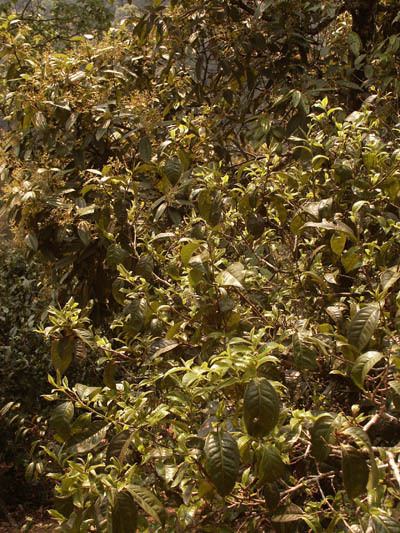 Camellia sinensis, as a typical under-storey tree, developed favorably in the half shade of the mountain forestÕs canopy. 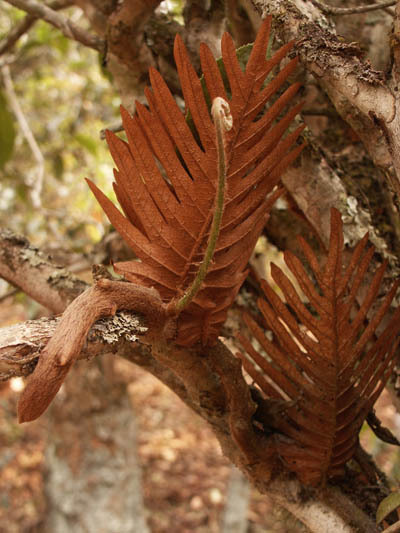 The original mountain forest is characterized as an oak-laurel forest with edible Fagaceae and Cinnamomum species. Farmers favored forest trees with a pleasant aroma, as the scent is said to enter the tea and add to its special aroma. Foreground: Banzhang tea tree; background: a flowering Cinnamon tree, kept for its aromatic scent. The tea trees themselves have been know to provide habitats to many epiphytic plants, among them rare orchid species. Today, however, it is difficult to find any epiphytic higher plant in the tea trees. Epiphytic fern in tea tree at 1800 m altitude on Banzhang mountain. Lately, more and more forest trees are girdled and felled, as the farmers wish to increase the leaf production of their trees. 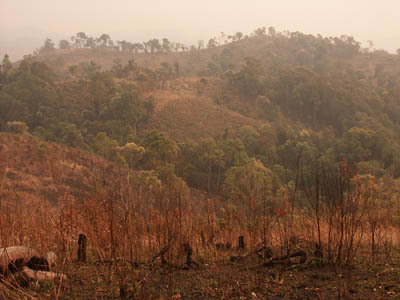 The surrounding forests are progressively logged and planted to tea. With the speed of destruction as observed in latest visits, there will hardly be any forest left in about 5 years from now. 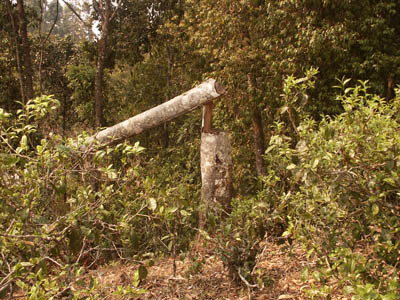 Typical recent situation: hill sites are logged for intensive tea plantations. TianZi has negotiated with the Banzhang communities and the local Government that new concepts, which combine species protection and crop production on an ecosystem scale, will be implemented on larger scale. About 300 ha of partly logged mountain forest will be saved from further destruction and converted into a tea forest garden. Micro-habitats of the tea forest garden will be devoted to protection zones, rare species corners, and epiphytic plant recovery areas. Overview of the central part of the TianZi tea garden: April 2006, before planting and management. 7.3 Epiphtes: for growers of orchids, hoyas, and many species of climbers. For your interest in setting up traceability of your products, kindly contact us.